Instructions: Template Settings , How to install a Template? Those who follow me know I usually Css theme translated. But lately I do me in the direction of translation Magazine style theme, I have received many requests. This is not to be missed to requests by saying that I liked, and Blogger has not been translated for the order of the themes I have received translations. Magazine style themes have made the first translation prepared by SkinPress distributed free and is BlueMania Wordpress theme. Very good web 2.0 style theme BlueMania way reflects. 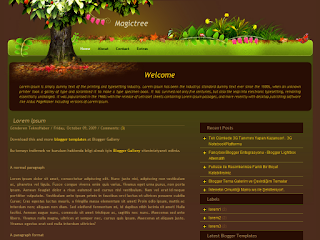 Big and bold blog title has been created you can design eye-catching headline. Located just below the blog title text field with the dynamic feature to your blog visitors to your blog as a separate visual layer provides admire. Yet in the right of a dynamic text field if you want the rss icon customize according to your own. A building with 2 columns theme BluaMania has. Sidebar is located on the right side. Text field is large by writing your visitors can be more easily read. Featured Post section, you have put in the form of picture or text messages are displayed in rotation. <p><strong><a href='http://marro.ws/'>Marro.ws is web-clipping tool</a></strong> We are visiting internet and saving some things everyday. If you are reading an article on internet and like just two sentences of this article, what will you do? Information: Download the file within the folder is located in the Featured Post section dosyalarıda Js. For faster opening of your blog that you can install dosylarını own free host field. So you can get rid of problems arising in the future.